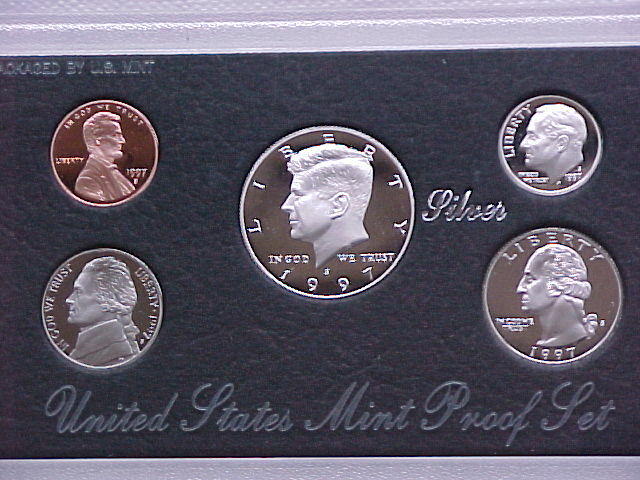 In this 5 coin 1997 Silver Proof Set you will receive the Lincoln Cent, Jefferson Nickel, 90% Roosevelt Silver Dime, 90% Silver Washington Quarter and 90% Silver Kennedy Half Dollar. 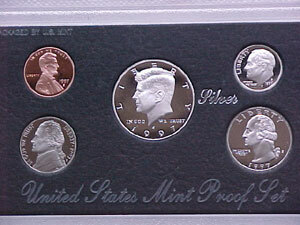 All the coins in this set bear the S mint mark. This set comes in the original box.